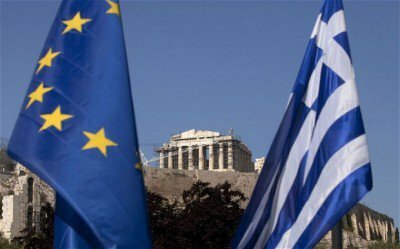 The European Monetary System (EMS): Let’s Develop a Plan B for Europe! Many in Europe had put great hopes in the election of Alexis Tsipras as Greek Prime Minister. When, after long and exhausting negotiations, the Syriza leader signed the European diktat, the disappointment was great. It would be unjust and presumptuous to want to give moral lessons to Alexis Tsipras and Syriza. After these experiences for the European left, it would be better to reflect on the conditions in which a democratic and social politics (and thus a left politics) is possible in Europe. We have learned one thing: while the European Central Bank, which claims to be independent and apolitical, can turn off the financial tap to a left government, a politics that is oriented toward democratic and social principles is impossible. The old investment banker Mario Draghi is neither independent nor apolitical. He was with Goldman Sachs when this Wall Street bank aided the Greek government to distort its spreadsheets. And this is how it was able to enter the Euro. In the past few months, many discussions have been held to try to work out if the drachma should have been reintroduced. But that led to nothing, and to reduce the debate to this question is a bad option. Not only in Greece, but in the whole South of Europe, youth unemployment is indecently high, and deindustrialization affects many countries in the Eurozone. A Europe in which the youth have no future is at risk of collapse and could fall prey to the forces of a resurgent nationalist extreme right. This is why the question for us cannot be, “The drachma or the euro?” Instead the left must decide if it will continue to defend the maintenance of the euro despite catastrophic social consequences, or if it will apply itself to a progressive transformation toward a flexible European monetary system. For my part, I plead for a return to a European Monetary System (EMS), taking into account the experiences that we have had with this system and ameliorating its construction in the interests of all the participating countries. The EMS functioned for many years, certainly not without frictions, but better than the single currency. Despite inevitable tensions, it continually permitted compromises that served to re-establish the equilibrium between different rates of economic development. Since the central banks of the member countries were required, and unfortunately only for a curtailed period, to stabilize the course of changes between the partners of the EMS. But in the euro, the Spanish, Greek or Irish workers and retirees are alone in bearing the brunt of the internal devaluations through lowering of their salaries and their pensions, and the augmentation of their taxes. In contrast to the euro, the EMS favoured, and this is what counts, the cooperation between the people of Europe. The successive re-evaluations and devaluations prevented too large of a gap between the economies of the European countries from emerging. The dominance of the Bundesbank has certainly always been a large problem, but this was incomparably less than the current tutelage exercised by the economy and government of Merkel, Schäuble and Gabriel toward the rest of Europe. It is now only a question of time until a government in Italy, for example, recognizes that it cannot for much longer participate in the rampant de-industrialization of its country. In this context, in particular on the German left, an error of structural thinking has appeared that leads the debate on the future of Europe in a bad direction. Every demand to re-transfer a particular European authority to a national level is accused of nationalism or hostility to Europe. With such commentaries, the big media corporations chime in, in the interests of the large corporations and German banks, with musical accompaniment. And much of the left falls into the trap. Already in 1976, the master of this ideology, Friedrich August von Hayek, demonstrated in a seminal article that the transfer of authority to the international level clears open the way for neoliberalism. And this is why the Europe of the free market and of non-regulated exchange of capital is never a left project. And since the European Commission and European Parliament are at the beck and call of the economic lobby, a new transfer of authority toward the European level signifies the deconstruction of the democratic and social state. This – and in saying this I make a self-criticism, because, as a convinced European, I had long supported the politics of a growing transfer of tasks toward the European level – we should have been able to understand before. It is regrettable that the influential German philosopher Jürgen Habermas, and many political figures and economists having participated in these discussions continue to stick to this path, even while from one year to the next it seems more and more to lead to error and set the people of Europe against each other. Thomas Mann dreamed of a European Germany: his wish has turned into its opposite. Today we have a German Europe. Democracy and decentralization are mutually conditioning. The larger a unity, the more opaque it is, the more removed it is, the less controllable it is. What can be managed at a lower level, that of the level of the commune (local government), should be managed there, at the level of the canton, of the region, at the national level and that of the EU or the UN, it is necessary to hold to the same principle. One should not transfer to a higher level those things that can better manage themselves. The examples of bad transfers are now standard fare. We do not need those casinos of speculators who act globally, but instead savings banks that can still be controlled. The banks of the Länder, who at the beginning were regulated with severity, have for a long time satisfied great financial interests. We don’t need energy giants acting across all of Europe with their large power stations and their grids, but instead city technical services and renewable energies and local storage capacities. The national issuing banks have been put under pressure in a situation where exchange of capital is deregulated and where the door is wide open to global speculation. The issuing banks should once again do what they were initially founded for: financing states. The passage to a renewed European Monetary System should be done step by step. When the drachma is reintroduced, for example – and this would be the first step – the ECB should support its course. Perhaps the Greek government should have encouraged Schäuble to develop his project of temporary exclusion of Greece from the Eurozone. He promised a restructure of the debts and human and technical support for the development of growth. If this offer had been sincere and if monetary support from the ECB had been agreed, then all the catastrophic scenarios developed by the partisans of the euro against the return of the drachma would have lost all foundation. Then Greece would have been able to, like Denmark with its krone, participate in the existing mechanism of the exchange rate (EMS II). It is striking to see the degree to which economists and monetary experts of international reputation coming from conservative milieus and from the liberal left have recommended a Greek exit from the euro system. The courageous Greek finance minister Yanis Varoufakis, who already met with difficulties with his European counterparts because he truly made himself heard in political economy, had projected a scenario for returning to the drachma. He wanted a plan B in case Draghi cut them off, thus using the “nuclear option,” as the specialists say. Effectively the ex-investment banker did make use of this weapon. With Schäuble, he is the real thug of the eurozone. From the moment Syriza arrived in power in Athens, he used the torture instruments of the European Central Bank to force Tsipras to his knees. Oskar Lafontaine is a former co-chair of Germany’s Die Linke (The Left). This article is reposted from Links International Journal of Socialist Renewal .